Where Our Couple's Love Stories are shared and celebrated. We love a good love story!!! Our couples have some really beautiful love stories. 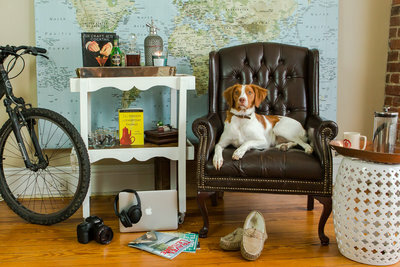 We love pairing their stories with pictures that reflect their love and joy! Are you a Photographer or a Creative needing a new website? Let REfresh Site Design help you out! 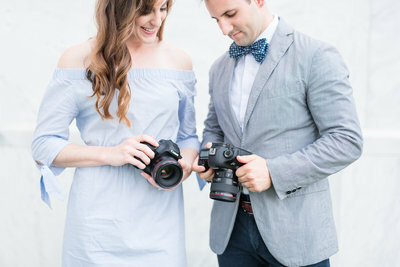 We are a Husband and Wife photography team based in Richmond, Virginia with a passion for traveling, loving others and cheering couples on as they prepare for their marriage. Serving couples through photography since 2014...and we don't plan on stopping anytime soon!! We love everything about this couple and they deserved the best Wedding Day. Oh and what a truly wonderful day it was for Jess + Dave to get married!! On Sunny Slope Farm in Harrisonburg, Virginia, you can see 360 degree views of mountains and rolling farmlands. 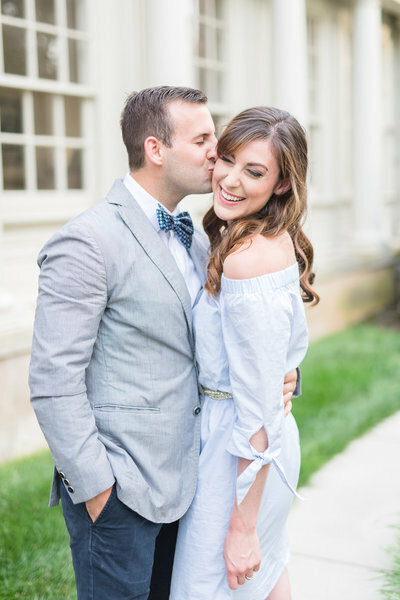 Ever since their Engagement Session, we have been smitten by their genuine love for each other, as well as the candid way they love others. Even on their own Wedding Day they were pouring drinks and doing things for others to make sure everyone was having just as much fun as they were!! Jess really made me choke up when she asked for Sam and I to be in the getting ready room with her to open a gift FROM HER TO US!!! Somehow she found a crate with our brand colors and she filled it with of all our favorite things that she found from our website — she even had treats for our pets!! I have reread her beautiful handwritten note to us at least 5 times since Saturday, and I still can’t believe how lucky we are to have met such selfless, amazing people!! We knew this day would be amazing, but also tremendously hard for Jess. Her father ended his life in 2015 and both Jess + Dave honored his memory everywhere throughout the day. Jess carried him in her bouquet, Dave and his Groomsmen shared a drink from one of his old bottles of liquor, and in a few places the loving phrase he often spoke to Jess “I love you a bushel and a peck” was displayed. All of Jessica’s girls made the morning so fun and easy!! They all gathered in this little room to be with her and calm any “morning of” nerves. They turned the music ALL the way up and sang along to the Moana soundtrack, drank champagne, taught each other how to “floss” and took lots of selfies! Jessica’s gorgeous dress also had pieces of her Grandmother + Great-Grandmother’s Wedding dresses sewn in over her heart and by her feet. Before doing a First Look with all of her Bridesmaids, Jess wanted to do one alone with her sister, Allison. Have you ever seen a YETI koozie before?! All the Groomsmen had a personalized one. The day took an anxious turn when Dan, the Best Man, realized there was only ONE ring delivered to him by the ring bearer. I didn’t realize it at the time, but below is the moment of Dan trying to be inconspicuous as he told Dave only his ring was in there and that Jess’ tiny, diamond-lined Wedding band was missing!!! There was no time to panic as the music changed for Jess to begin her walk down the aisle. It was truly a beautiful moment. They exchanged some of the best and perfectly light-hearted vows we’ve heard!! Dave wrote his vows THAT morning and joked about them being on hotel letterhead, but I’ll tell you what – it was perfect. Jessica’s vows were equally beautiful and funny! When they exchanged rings, Dave told Jess not to freak out when he slipped on a ring that wasn’t hers. With some quick thinking before Jess walked down the aisle, the Best Man (who actually introduced the two) slipped off his own Wedding ring for Dave to put on Jess’ finger! After breaking the glass to honor Jewish heritage, the two newlyweds danced all the way to Sunny Slope’s bell where it is tradition to give it a ring and share a kiss just after the ceremony. Love working with The Faded Poppy florals!! All of these bouquets were stunning from every angle! 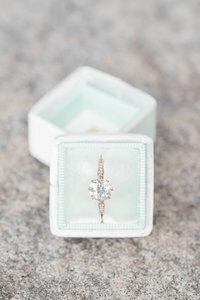 At cocktail hour, word had spread that the RING WAS MISSING and tons of guests were scouring the fields beer in hand. Everyone was trying to figure out who had them last and quickly solve the mystery because the sun was setting. There wasn’t much time left to find this needle in a haystack – Even the coordinator brought out a metal detector!! We had just started the Bride + Groom portion of pictures when all of the sudden guests started cheering and applauding as one groomsmen held up a thin, sparkly Wedding band and was walking towards us!! It was seriously a Wedding Day miracle!!! I love this shot of Dave giving his buddy the “You’re the man” salute before placing the ring on Jess’ finger!! Mystery solved: The ring bearer confessed he shook the box before he walked down the aisle, which is when we are guessing it fell out into the grass. The jury is still out on whether or not he was actually guilty of seeing the ring drop out…but the jury has definitely forgiven him. Good Lord Jess, you are SO beautiful!! 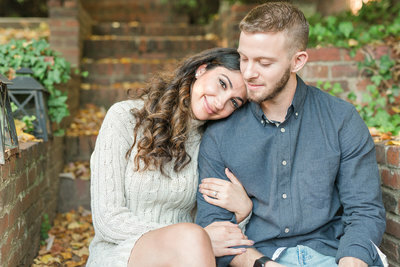 If you haven’t already read how they met and got Engaged here, then I encourage you to! Dan (who introduced them) was Jess’ cousin, and also Dave’s best friend. They briefly met in 2013 and then reconnected two years later around the time of Dan’s own Wedding and the passing of her Dad. They completely hit it off at Dan’s Wedding and had their first official date on Father’s Day – a day Dave knew would be hard for Jess and therefore made it a point to make it special. On their second dating anniversary, Dave proposed!! These two are so funny together!! We had so many laughs behind the scenes!! Like when Dave let out a yawn during pictures and then they both cracked up!!! The couple shared a really sweet First Dance together before their parent dances. Tears were coming from everyone when Jess and her Mom danced. 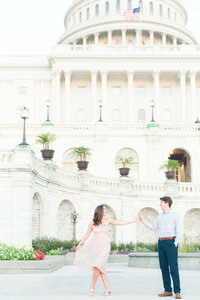 Halfway through their slow dance, they switched to an upbeat song and took turns spinning each other around. Right afterwards, Dave + his Mom also had a really sweet slow dance together. This entire Wedding hit me deep in my soul. When Jess’ Mom gave her welcome speech, there wasn’t a dry eye in the room. Here’s a snippet that felt like a glimpse into their storm. Then she talked about turning towards each other whenever it did storm, and to remember that their friends and families would always be there for them and love them. It was beautiful and heavy and so, so true. DJ Paula Shrum kept the dance floor PACKED once bellies were full of BBQ and everyone had a LOVE beer in hand. Guests also enjoyed the Photobooth that was a total surprise to the couple and gifted to them by their family! Holy smokes, you guys. I mean this day was PERFECT even with the chaos. You know why that is? Because of who you guys are as a couple. Your brand of love, the vibe that it gives off, and your “we will tackle it together” perspective makes the storm beautiful. You guys are the real thing and this entire day dedicated to celebrating your first day as Husband and Wife is one we will always remember with a big smile. Jess, there was one point where Allison and just I both talked about how wonderful of a person you are for like 10 minutes, specifically about how you take time to love people with handwritten notes and quality time – you and Dave both do so much to make others feel important and loved. It’s your gift to be this bright sunshine in other people’s lives. I can’t tell you how much your gift meant to me; it’s the most thoughtful thing a couple has ever done for us! I am EXCITED for your marriage!! I know it is one that will be strong and loving, but also SO much fun. Storms will always be in the forecast, but you guys bring the sunshine. Having you as one of our couples has been such a blessing to us and we hope you are having the best mini-moon ever!! We love you guys so much!! Although we Serve couples all over the world, Virginia is our home. Are you a Photographer or creative needing a new website?